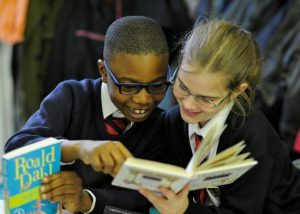 I would like to warmly welcome you to our lovely School graded as ‘Outstanding’ by Ofsted and the Diocese of Southwark. Our Ofsted report declares ‘Pupils are excited about learning’ and ‘Pupils make outstanding progress in a range of curriculum subjects, including English and mathematics’. 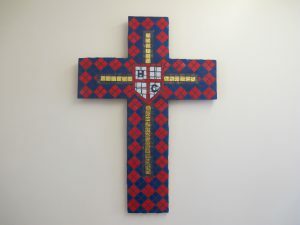 Holy Cross is a Catholic School and our faith is at the heart of all we do. All staff work in partnership with parents to ensure that our children are happy, well behaved, motivated and academically fulfill their true potential. We are constantly striving to raise standards and are not complacent about our successes. 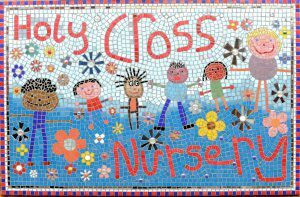 Holy Cross is more than just a school, it is a community, an oasis in the middle of south east London where children are cherished and nurtured and high expectations are held and met by all. Holy Cross School was opened in January 1975 to serve the Parish of Holy Cross. We have an open and friendly atmosphere within the School and parents are encouraged to become active in the life of the School through being a member of the PTA, a volunteer helper or just a familiar face to greet each day. This year we have joined in a soft federation with St Augustine’s Catholic Primary School on Beckenham Hill and enjoy working closely with the governors and staff there to ensure all our children receive the very best education possible. Holy Cross School is an important part of Holy Cross Parish. Together they form a wonderful community. In School, the children, parents, parish priest, governors and staff work together to help children develop an understanding of their faith. Children join with the Parish to celebrate Mass on a regular basis. Some parishioners are weekly volunteers to hear children read and we have a particularly special relationship with the Diamond Club who are guests at the previews of all our concerts and are the judges of our annual daffodil competition! We are very proud of the relationship we have with the parents in our School. We are a strong group and benefit from mutual respect, trust and understanding. The good of the children is at the centre of every decision we make and all the work we do. We like to work together with parents to ensure that children fulfill their true potential. We encourage parents to come and see staff if they have any concerns or worries about their child or if there is something we should know about; a change in family circumstance, news that may impact on the child. We have an open door policy and parents are welcome to come and see teachers before or after School and either speak then or arrange a convenient appointment. Each term the teachers formally report to parents on the progress of children. This is during Parents’ Evening in the Autumn Term, Academic Review Day in the Spring Term and a written report in the Summer Term. During the year all children will take part in class assemblies, Masses and concerts which parents are invited to attend. Our Home School Agreement sets out the responsibilities of parents, School and children in detail. This is given to all parents when the child comes into the School. It is reviewed annually during the child’s time in Key Stage 2. Sharing books and listening to your child read. Supporting any homework set by the class teacher. Talking to your child about general things helps to improve communication and vocabulary. Accompanying children on class outings. If you have any time to spare and would like to help us in any way we would be delighted to welcome you into the School. Our Governing Body consists of a number of volunteers as well as the Executive Headteacher, Head of School and Parish Priest. The Governors help to appoint staff, decide on policies for the School, deal with admissions and appeals as well as a multitude of other important functions. The Governors work closely with the Executive Headteacher offering support and advice. Our Nursery offers a wonderful array of activities for all children. The outside area includes climbing equipment as well as a play house and a range of bikes and scooters. Inside the children have a variety of exciting options as well as the opportunity to use an interactive whiteboard. 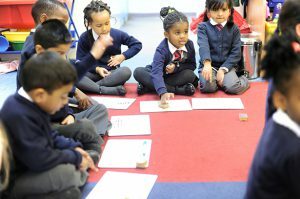 They happily choose whichever activity they wish and are guided by the teacher and nursery practitioner to undertake set tasks. When settling children in parents must be prepared to stay with them until they are happy. We do not have a uniform in our Nursery but children are expected to wear comfortable, practical clothes and shoes. Children who attend our Nursery do not automatically gain a place in our School. We say prayers in the School Hall at 8:45am each morning. Parents and children are welcomed and encouraged to attend. School begins at 8:55am and children must be in the playground when the bell rings. The whole School has a fifteen minute break during the morning and Key Stage 1 also have a break during the afternoon. Lunch is served at 12 noon for reception class and key stage 1 children and at 12:25pm for key stage 2 children. Lunch break finishes for the whole school at 1:15pm. The School day ends at 3:15pm and parents are asked to be prompt when collecting children. 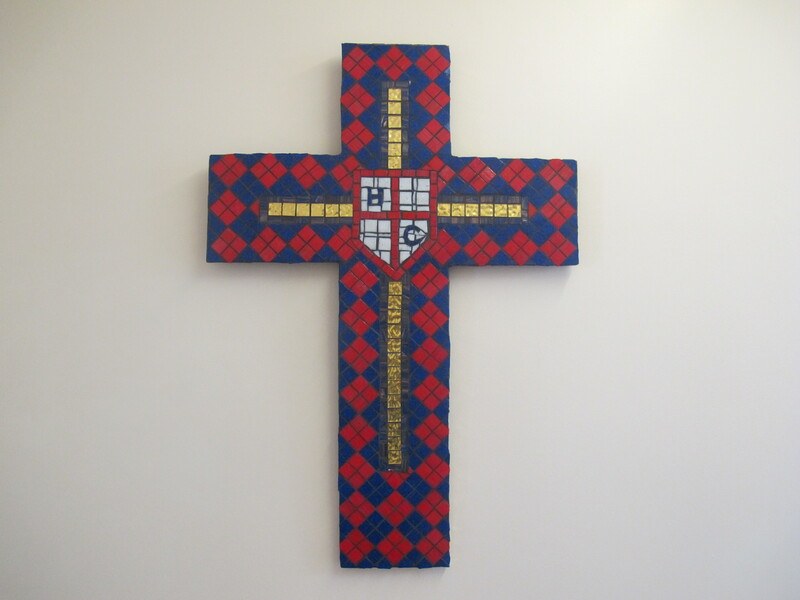 Holy Cross is a Catholic School where we provide a Catholic Education in a Christian environment. Pupils and staff are challenged to achieve their potential, intellectually, socially and spiritually. We aim to provide a broad, balanced and relevant curriculum that meets the needs of each individual child. We encourage children to work independently, to develop skills and establish concepts in order to have access to the National Curriculum. We build upon the children’s own experiences so that they grow in confidence, self esteem and respect for others. School lunches are provided at a cost of £2.20 per day payable weekly or half termly at the School Office. Children may bring a packed lunch from home. We are a healthy School and also have a policy of no nuts due to allergies. Currently all children in Reception and Key Stage 1 receive free school meals but if you believe your child may be entitled to free school meals according to the government set criteria please enquire at the School Office as there are further benefits for this group of people. We offer a wide variety of After School and Lunchtime clubs including; football, netball, French, art, cheerleading, story telling, brass, cello, violin, computer and gardening. These are run throughout the year and each term children have the opportunity to change their club/s. Children in Years 3 and 4 have the opportunity to go on a two night residential trip and in Year 6 there is a five day school journey. Both these trips are activity based and offer children a wealth of new experiences. We have an Inclusion Manager in School who works with children who have special educational needs. She works in collaboration with class teachers and two higher level teaching assistants. They focus on individuals and small groups of children in order to help them make progress. She is our link with outside agencies who offer support and advice. There is a strong emphasis on self discipline and respect for all members of the School community. Children learn that school is a place where they live alongside many other people and this means sharing equipment, books and teachers’ attention. Children are expected to always do their best. We teach children to be kind and thoughtful and not to hurt or abuse other children by word or action. Expectations of behaviour are high and these are met. Our behaviour management system ‘It’s Good To Be Green’ works across the School and provides clear guidelines for children. Parents are expected to read and sign the Home School Agreement each year and return it to the Headteacher. Our school uniform is simple and practical. It may be purchased in any shop the parent chooses. Navy or grey tights or white socks. Children in Year 6 only may continue to wear winter uniform or a summer dress as above. School ties may be bought from the School for £4 each. Footwear must be black or navy, strong and sensible in style, no boots allowed. Trainers should only be worn for games or during lunchtime in the playground. Open toed sandals must not be worn in School. Coats can be any colour but denim jackets or tracksuit tops are not suitable. All clothing must be marked with the child’s name so that lost clothing may be traced and returned quickly. Hairstyle is to be conventional in style, length and colour. Hair which is shoulder length or longer must be tied back and hair accessories must be small, simple and red or blue in colour. School bags may be bought from the School Office – red infant bag £4 each, blue junior bag £5 each, PE bag £3.50 each. School hats are also available from £4 each. Jewellery is not permitted and watches are worn at the owner’s risk. Only children in years 5 and 6 are allowed to bring a mobile phone to School, these must be handed in to the School Office on arrival. For PE all children are expected to wear a plain white T-shirt, plain navy shorts and plain navy tracksuit bottoms for outdoor games in the winter. All children need plimsolls or trainers for outdoor games. These should be kept in a drawstring bag in School. In warm weather children may wear a Holy Cross School cap and a pair of sunglasses. Suncream must be applied before coming to School during hot weather. We have a very active and enthusiastic PTA. All parents automatically become a member of the PTA as their child starts at Holy Cross. We encourage you all to support the wide range of events which are organised from quiz nights to children’s discos to the our annual summer party. These all raise money to support projects within School and they also help us to maintain the strong community spirit we so enjoy here. If children have slight accidents in School they are treated by a trained first aider. If an accident appears to be serious parents will be notified should hospital treatment be necessary. Parents may be notified by phone if a child has a bump to the head. For other injuries we will send a note. All accidents are recorded in the accident book. If your child requires medication in School a form from the School Office must be completed by parents to allow the School to administer it. If your child becomes unwell we will let you know and ask you to come to School if necessary. It is therefore very important that the School has a telephone number where parents or carers may be contacted during school hours. If this changes we must be notified immediately. Our attendance is always high, children want to come to School and parents trust that the staff will care for the children and contact them if it is deemed necessary. Children are expected to be in School every day except on an occasion when poor health prevents this. If your child is absent from school please telephone us by 9:30am. If your child has an appointment during the day a known adult will need to collect them and sign them out at the office. Holidays are not allowed during term time. A child will only be allowed time off from school in exceptional circumstances. Parents and visitors must not use the School car park during school hours either for parking or turning. The zigzag lines outside the School on Culverley Road and Sangley Road are mandatory. Parents who park on these lines before and after school are liable to receive a parking ticket from the police. These rules have been made for the safety of your children. Entrance to the School at the beginning and end of the School day is through the Junior playground in Culverley Road and via the gate in Sangley Road. Before school begins children may come into the School Hall for prayers or wait in the Infant playground where a teacher will be on duty from 8:45am. During School time access is through the entrance in Culverley Road. Parking around school can be difficult, due to the nearby Controlled Parking Zone and consequent commuter parking on Culverley Road. We encourage children to walk to School as often as possible or take the bus and walk. We allow children to cycle to school with their parents’ permission and have provided bicycle shelters for this purpose.